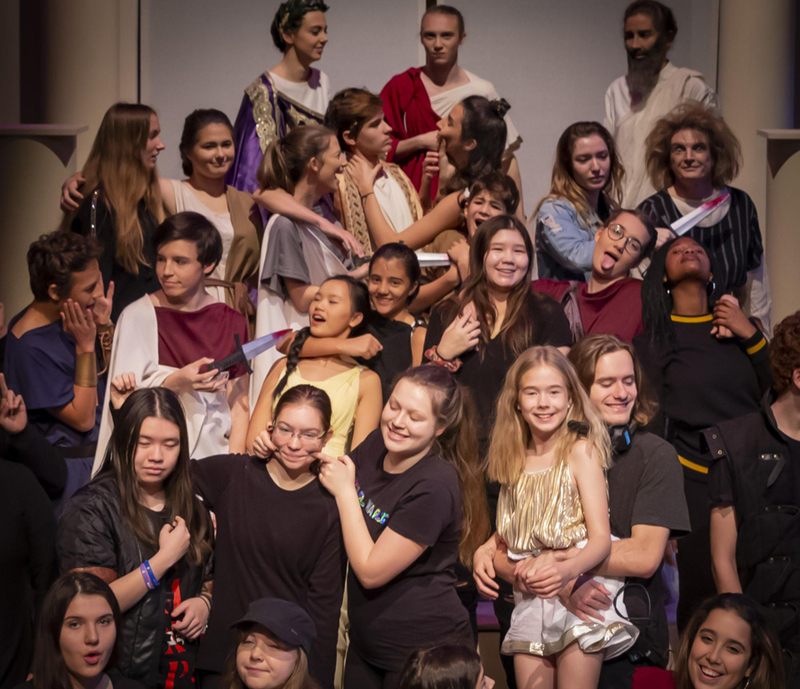 TASIS The American School in Switzerland’s High School Theater Program presented the double tragedy antigone/CAESAR in the Palmer Center on the evenings of November 16–17 and on the afternoon of November 18. 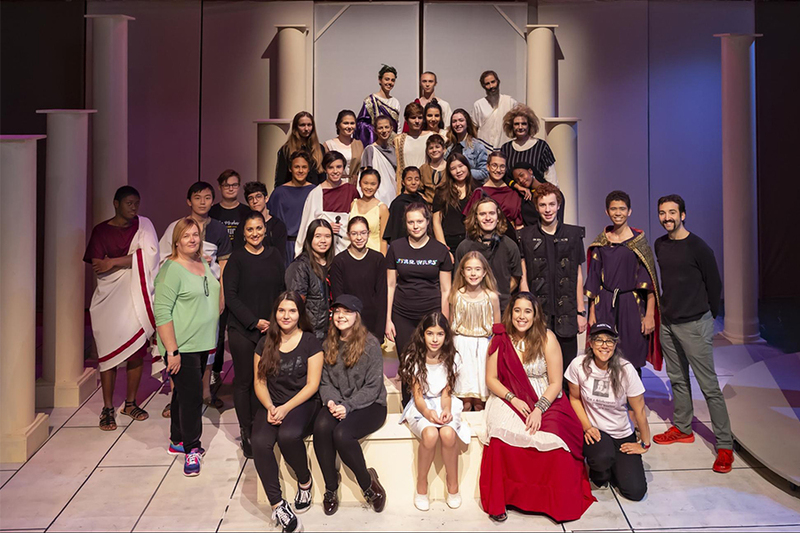 Congratulations to Director Valerie Bijur Carlson, Assistant Director Matthew Frazier-Smith, and the entire cast and crew (which also included a few faculty members and Elementary and Middle School students) for an excellent run! The Friday evening premiere was filmed and can be watched in its entirety below. Read this insightful article by Bryan Soh ’18 to learn more about the backstory of this year’s fall play, and continue reading below to learn about the many students and faculty members who worked so hard to bring the story to life. ETHAN FREDERICKSEN PG’19 (USA) is excited for his last dramatic production at TASIS. As a dedicated actor for the last three years, he will miss the Palmer Center stage when he leaves for university next year. Ethan is pursuing theater beyond TASIS, though, as he is applying and auditioning for courses at well-reputed performing arts universities across the UK. He hopes to make this last fall play a good one. TAMARA ILIC ’19 (Serbia) is really excited about this play, as she has never been onstage. She worked backstage (in set design and running crew) once before, for last fall’s A Midsummer Night’s Dream, and that is all. She’s glad she joined this year’s cast because it is a rare opportunity for her to do this: be an actor. Tamara wants to give a huge thank you to her roommate, who tolerated her and all the times she would rehearse her lines aloud in their room. SAMANTHA WALKER ’19 (USA/Japan) is excited to participate in the world of tech in her first TASIS theater production. Her previous experiences include mostly sound and stage management, with a side interest in everything else. She’d like to thank everyone else involved in the play, as well as all of the friends who have supported the company. 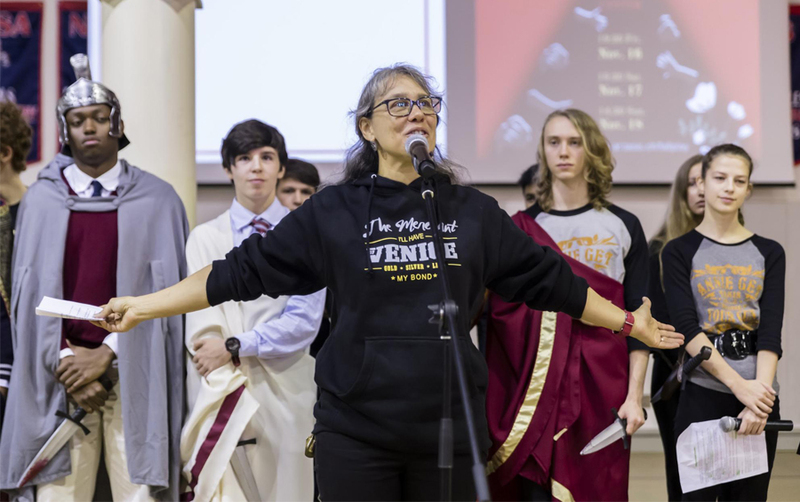 Antigone, by Sophocles, and Julius Caesar, by Shakespeare, are two of Western Civilization’s most famous tragedies and are used throughout the TASIS curriculum. Their themes of leadership, tyranny, and individual resistance still resonate powerfully with us today. Goodness, wisdom, and honor vie with pride, arrogance, and rhetoric through characters in conflict with themselves and each other. We invite you to come engage your mind and heart through the power of theater this November. Martyn Dukes, Simone Aeschliman, and David Peters; Mark Aeschliman and Luisella Govoni; Todd Bearden, Pietro Bassi, and Natalie Philpot; the Monticello Dorm Team and the fall sports coaches; Roberto Colombo, Michele Dinelli, and the TASIS Facilities Department; Gunther and Lorenzo at Electric Claudio Merlo; the TASIS Communications & Website staff; The 2018-19 Drama 1 class; Chris Nikoloff, Mark Abisi, and the Deans’ Office; Lynn Fleming Aeschliman and the Board of Directors; and the families, friends, advisors, and dorm parents of the cast and crew.